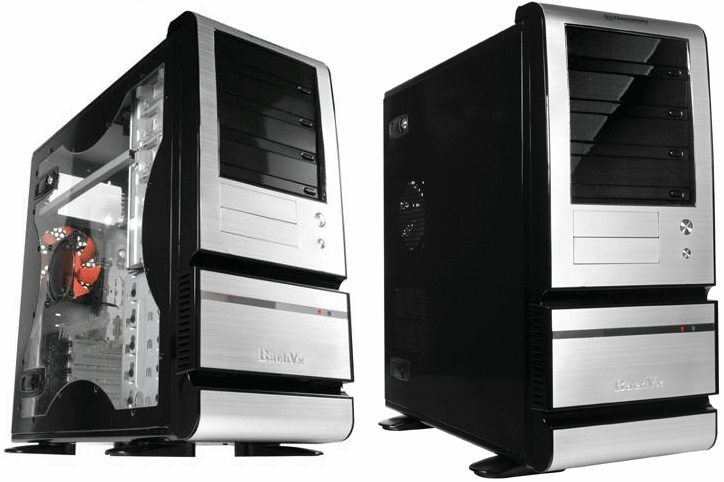 ThermalTake has a few new cases for computer enthusiasts, one of them is the Bach VX VF4000 series. In this review I'm taking a closer look at the VF4000BWS which features a large case window. 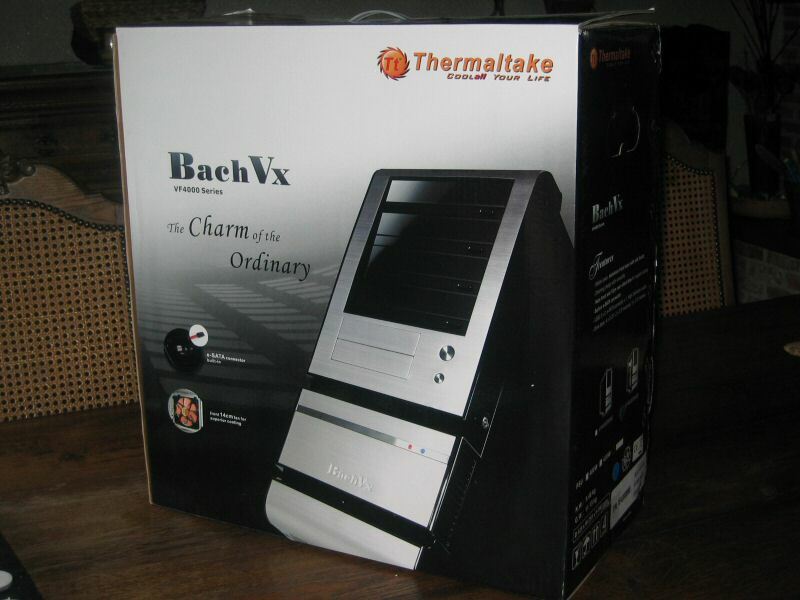 For people who don't need fancy stuff like this ThermalTake also has the Bach VX VF4000BNS which features a normal case panel with a 92mm fan hole. 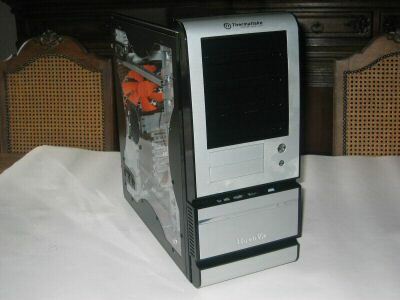 On ThermalTake's website they describe this case as "The Charm of the Ordinary", with a simple, low-profile and clean design that stands out from the crowd of countless complex designs. The Bach VX simplified the complex designs of others and blend it into a single simple design, ThermalTake claims. 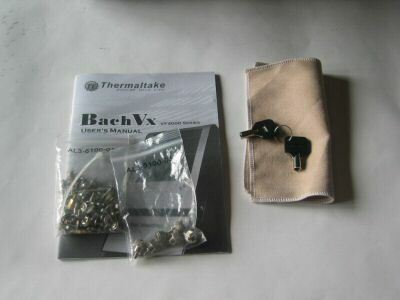 The Bach VX arrived in this pretty looking box. I'm not going to bore you with a lot of unpacking pictures but I can assure you that it was well packed with styrofoam and a cloth bag around the case to prevent it from getting damaged during shipping. The case arrived in perfect shape. The design of the Bach VX case is simple and elegant. The front bezel is made out of plastic and aluminum and has a silk finish while the rest of the case has a piano-black finish. Unlike some cases the Bach VX doesn't feature any fancy things like LEDs, light effects or temperature displays in the front bezel. Like I said, the design is pretty simple but beautiful. Besides the case the box also included a small box with a bag with all sorts of screws, another bag with thumbscrews, two keys, a manual and a cloth to remove dust and smudges. Head over to the next page for a closer look at this case. A nice review, and a really nice case for the price. I've already ordered one for my new computer.